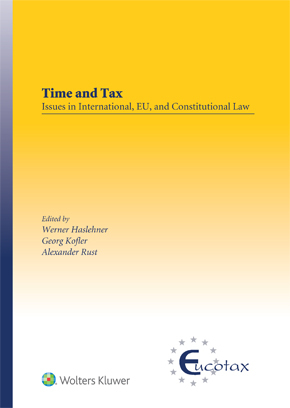 Time and Tax: Issues in International, EU, and Constitutional Law provides a definitive analysis of the key questions concerning the passage of time in tax treaty application. Time is a crucial dimension in the application of any law. 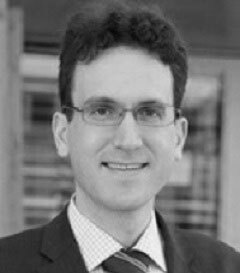 In tax law, however, where an environment characterized by rapid change on the national, European, and international levels complicates the provision of accurate legal advice, timing is particularly sensitive. This book is the first to analyse the relationship between time and three key areas of tax: treaties, EU law, and constitutional law issues, such as legal certainty and individual rights. It provides a thorough guidance on the relevance of time when applying EU fundamental-freedom law to domestic direct tax law. conflict between efficiency of taxation and individual rights. Derived from a recent conference of the prestigious ATOZ Chair for European and International Taxation at the University of Luxembourg in collaboration with the University of Linz, the Vienna University of Economics and Business, and an expert group on EU Tax Law from CFE Tax Advisers Europe, the book brings together contributions from leading tax experts from various areas of tax practice, academia, and the judiciary. Among other issues, the book notably expands on how economic theory can inform a constitutional analysis of the timing of taxation. Constituting the latest volume in a series of publications based on annual conferences on current international and European tax law issues, there is no other work that concentrates so usefully on the difficulties of applying tax rules – whether arising from treaties, jurisprudence, or policy – to changing circumstances over time. Proceeding confidently through the CJEU’s maze of direct tax jurisprudence on tax deferral, and appreciating the way economic theory can inform a constitutional analysis of the timing of taxation, this book will quickly prove itself to be an indispensable resource for European tax lawyers, policymakers, company counsel, and academics.